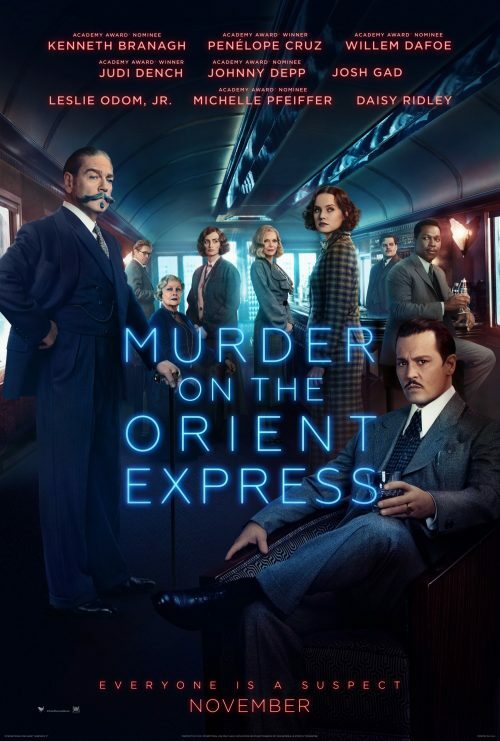 The sexist new poster for Murder on the Orient Express has arrived. Why call it sexist I hear you cry. Just look at cast list ( and what awards some have won ). Why are two people who have, just, been nominated for an OSCAR are more prominent that the female OSCAR winners. It does look like the studio is pinning, again, another film’s success on Depp & Branagh. Two people who haven’t had the best box office figures over the last couple of years. It also has the feel of a quickly put together set of copy & paste job of getting all the cast on the poster. It also tends to drag your eyes away from the 2 mail leads into the center of the poster to where the award winners are.